Chi Omega's First WISH WEEK! Chi Omega’s first Wish Week has come to an end in what seems like the blink of an eye. But Wish Week started off as just that - a wish. A wish to raise awareness, to raise money, and to provide hope for children and families grappling the burdens of life-threatening illnesses to show them the happiness, relief, and renewal that a wish can bring. 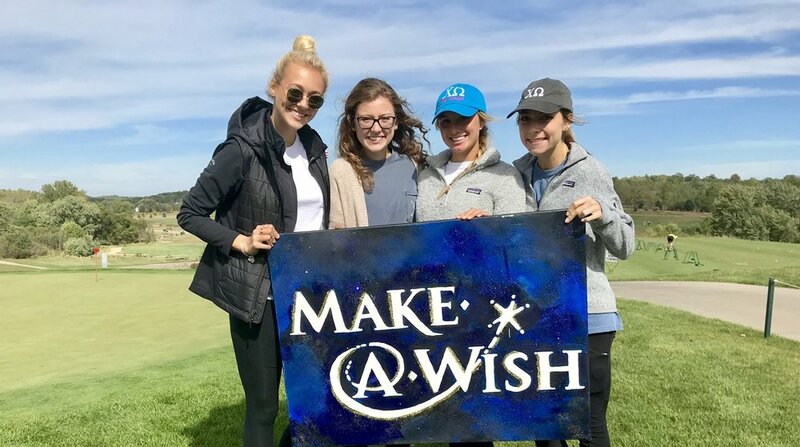 This was Chi Omega's goal with our first ever Wish Week to benefit the Make-A-Wish Foundation: our philanthropy that we are deeply attached to and proud of. 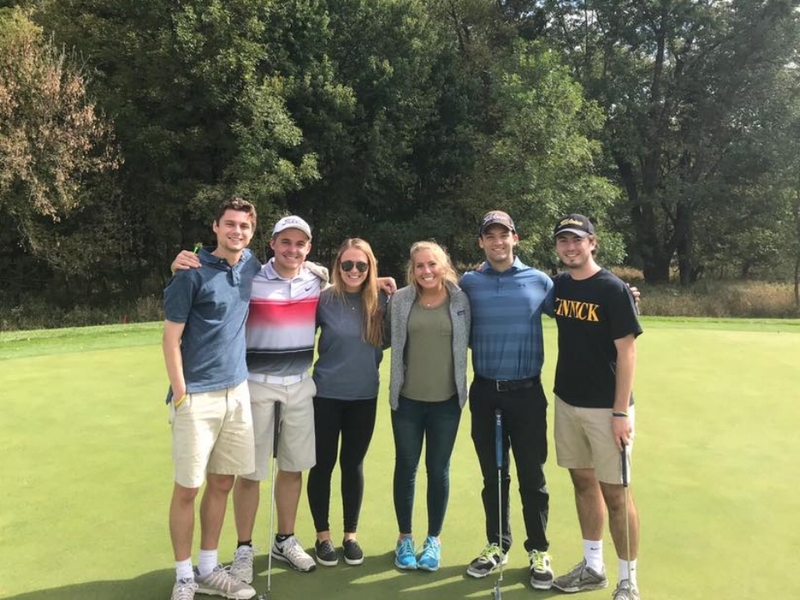 We decided to plan a week full of events leading up to our annual Chi Omega Golf Classic to raise funds and awareness for Make-A-Wish within the Iowa City, University of Iowa, and Greek communities. It is a beautiful thing when an entire campus comes together for a cause bigger than themselves. In years past, we have had single-day events for the cause, but this year we decided to take it one step further. The results? More than we could have imagined. In seven days, we raised a grand total of $8,670.08: enough to grant a child's wish! Our sister, Anna Vos, played a huge role in organizing this week and we could not be more grateful to her and her hard work. Read more about this incredible week below! This year, each day of Wish Week saw a new event. On Monday, we kicked off our week by hosting an event called "Adam's Wish," where we were blessed to listen to Adam's family speak. We heard about how Make-A-Wish granted Adam's wish to visit San Diego, California, and learned first hand what the power of a Wish truly means to a kiddo and his family. 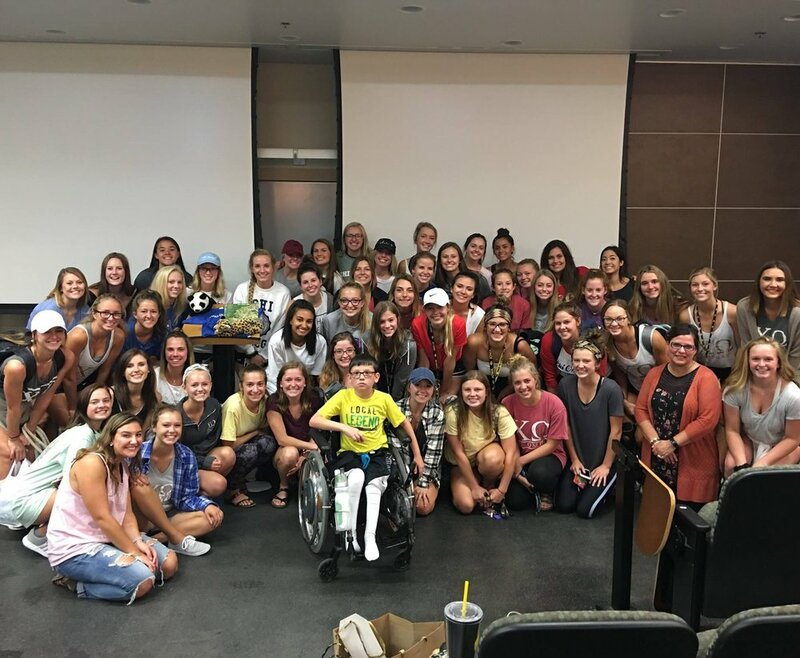 We loved being able to invite the Greek Community to come listen to Adam's story and it was so awesome to share our philanthropy among so many different chapters! Tuesday -Donut you wanna grant a wish? 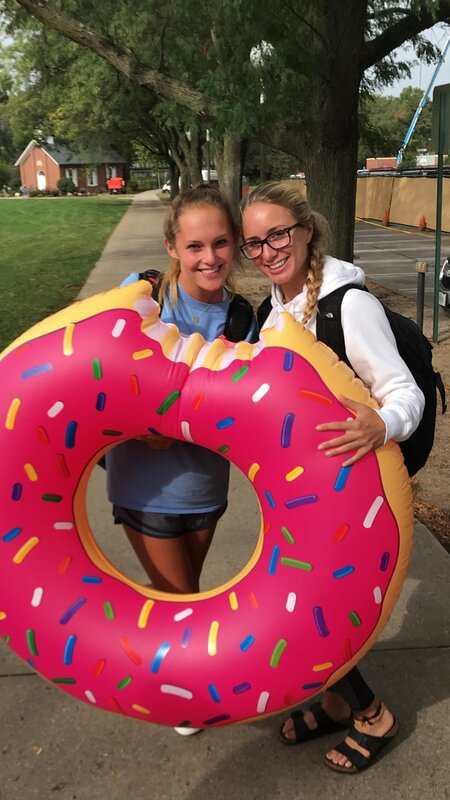 Tuesday mornings call for donuts and coffee, which we handed out at Hubbard Park all morning. We got to spread the power of Make-A-Wish to our fellow student body over some delicious pastries and caffeine! On Wednesday, our sister, Ella Paris, organized our first community day at CHIpOtle. This means that 50% of the proceeds that Chipotle made from 4-8pm that night went directly to Make-A-Wish! The line was out the door for hours as everyone on campus chowed down on burritos for an amazing cause. Thursday & Friday - 24hr wish rally! Thursday and Friday we blew Facebook up with our 24 hour Wish Rally! We urged our family and friends to find a few extra dollars to donate to Make-A-Wish through social media, and the results were incredible. We started out with a goal of $1,100 and surpassed that before the 6 hour mark. We then raised our goal to $2,000 and ended up with a grand total of $2,555! 11:11am on September 28th to 11:11am on September 29th saw the funds for portion of a child's wish get raised, and that is something we are truly proud of. Wish Week finished up on Sunday with our annual Chi Omega Golf Classic! Golfers sign up to play 9 holes in competitive fun on Brown Deer Golf Course. Chi Omega's caddied for our dads, fraternity men, and community members all throughout the day. This is always one of our favorite events throughout the year and having it finish off our first ever Wish Week made it even better! Our friends in Phi Kappa Psi took home the gold on the Front 9 by shooting 8 under par! "Golf Classic 2017 went really well! Clare Keating and Margaret Kaufman were my assistants and I could not have done it without them! We couldn't have asked for a better day. The weather was perfect and it seemed like everyone was enjoying themselves. What I enjoyed most about Golf Classic in general was witnessing all of the planning pay off. I was able to caddy for my dad and boyfriend, which let me relax and soak in the whole day. We raised so much money for Make-A-Wish and all the families that Make-A-Wish helps! It will be great to see another child be granted a wish!" Our sister, Liz Shaw, was the mastermind behind the planning of Golf Classic. She spent months contacting the golf course, organizing the donations, and making sure it would be a wonderful event for all! 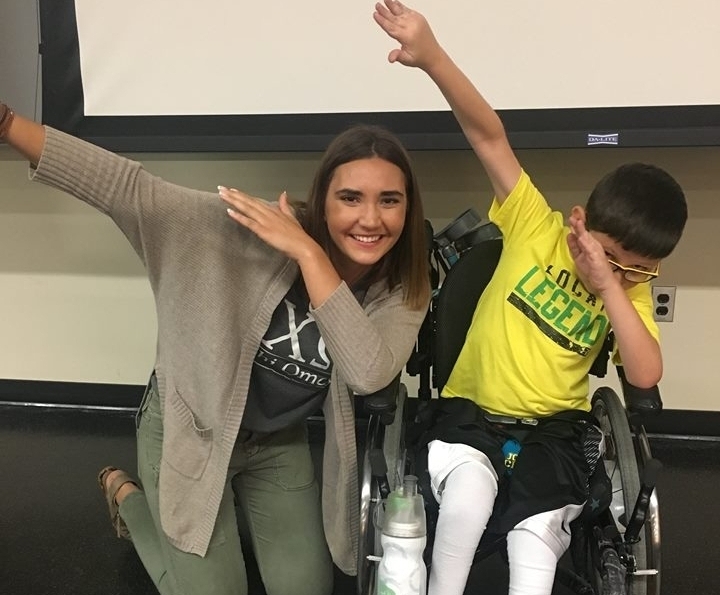 Anna, Chi Omega's Philanthropy Director, commented on the incredible turn out in on both the participation and financial ends of the spectrum of Wish Week -which so successful largely in part to her hard work and dedication! Chi Omega's President, Sarah Fisher, could not be more proud of how the week turned out. 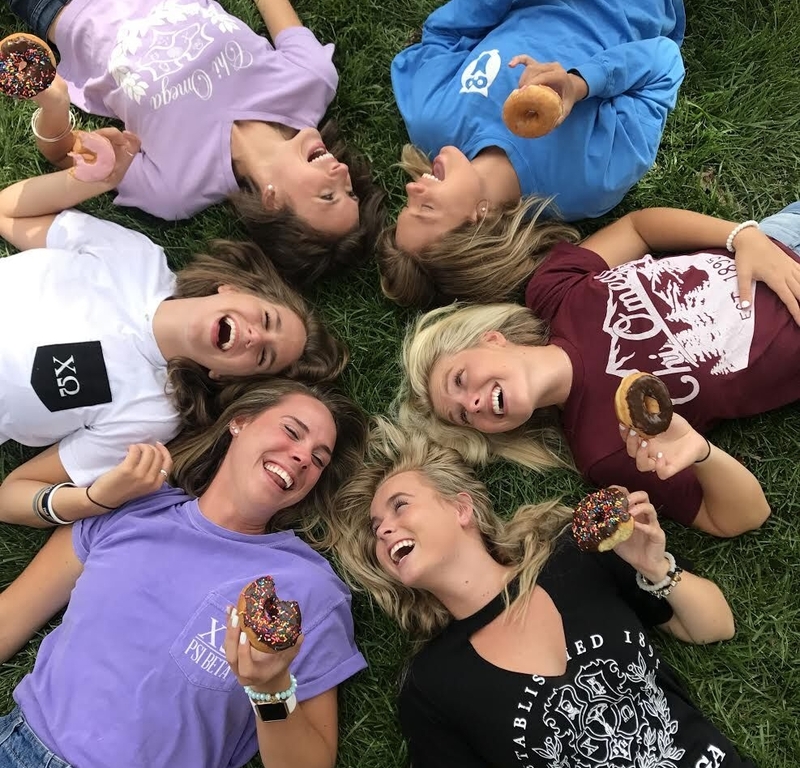 "As Chi Omegas, we are so excited to take on new projects and try to push ourselves to go above and beyond. We are so proud to have raised nearly $9,000 for Make-A-Wish during our first Wish Week! However, none of this would have been possible if we did not have such amazing individuals organizing these events. Anna Vos, our Philanthropy Chair, went above and beyond to make sure this week went so smoothly. She spent countless hours setting things up, tearing things down, and making sure everyone had a smile on their face throughout the week. Anna, along with the rest of our Make-A-Wish committee, are women that make Chi Omega so outstanding. Each and every one of them contributes their strengths that make this organization successful. We want to give Anna and the rest of these ladies a HUGE thank you for all of their hard work. Psi Beta has endless love for them and all that they do!" Missed this year's Wish Week? Don't worry! Next year's is already in the works!